Welcome to the Cuncolim Educational Society’s College of Arts and Commerce. The progress and achievement of an educational institution can be best assessed in terms of churning out responsible, cultured and well meaning citizens, who are well placed in the society. Over the years, the College has done consistently well not only in academics but in Co-curricular and Extra-curricular activities. The College has the credit of organizing State Level and National Level Seminars. The College has an I.T. Center, A Language Laboratory, and a well equipped Library. The N.S.S. unit of the College has been active since the inception of the College. In line with service before self, the motto of the N.S.S., our N.S.S. Unit has undertaken several projects in rural Areas. With the objective of creating awareness and infusing love for nature among the students, the College has set up “Vasundhara” a nature club. The Department of Physical Education and Sports of the College encourages the students to participate in various sports events hoisted by the College, University and other Institutions. The personality Development School of the College holds short-term certificate Courses and workshops to develop soft skills among the students. The College is planning to have MOU’s with the different Institutions for the benefit of students and the society at large. The Higher Education is more diversified with globalization and as such the focus of the college is to make our students globally competitive. The village of Cuncolim is located in the Salcete Thaluka in South Goa. It was a commercial hub before the advent of the Portuguese rule. History reveals that this village was on the forefront in the struggle against the colonial rule, asserting its right for freedom and participation in the government. It was on 2nd October, 1963, that the Cuncolim Educational Society was started. A brain child of the village elite group under the leadership of Rev.Fr.Cromacio Mascarenhas, the objective of this society was to make education easily accessible to the people of Cuncolim and surrounding villages. The founding members rightly realized the role of education in enlightening the citizens and in social progression. The mission started with the initiation of the Cuncolim United High School in the year 1964 followed by the starting of the Cuncolim United Higher Secondary School in the year 1986. To dispense quality higher education, and make it more accessible to the people of Cuncolim and surrounding villages the Society, started a College of Arts and Commerce, in the academic year 1987-88. Over the years the college has done extremely well. It is a known fact that education is an instrument to inspire and empower students to be productive members of a competitive and ever changing global society. 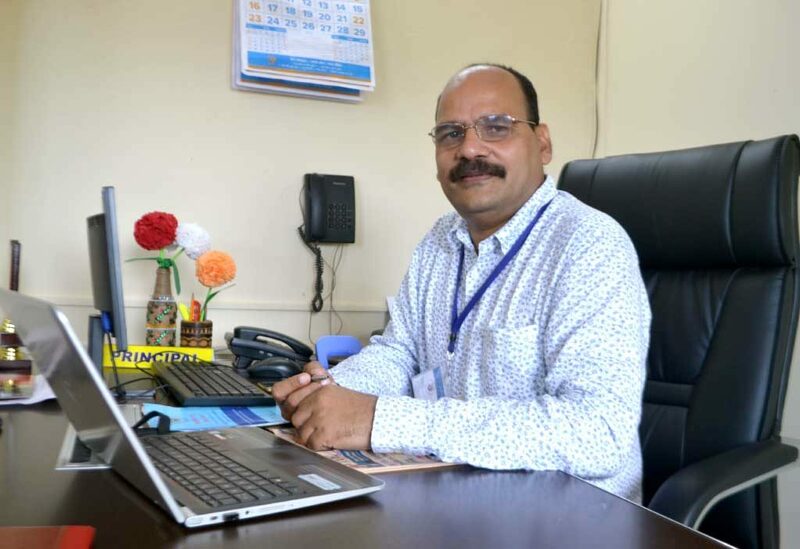 This institution of higher learning has done yeomen service of imparting education to the young aspirants of knowledge for more than three decades. Our alumni are tasked with respectable and responsible positions in government and private sector undertaking. The talents, skills and the abilities of each student need to be identified, nurtured, and channelized so that he/she is able to reach greater heights. Our well qualified, experienced and dedicated faculty is striving hard to inculcate strong values, combining with academics and extra-curricular activities in students. To develop an academic bent of mind, various associations conduct activities around the year. The college has a well equipped library, IT centre, geography lab, NSS unit, Nature Club, and a Literary Association. It is with pride, I say that the college has truly followed its vision to infuse, nurture and develop lasting values of secularism, democracy and leadership in students through education, by making the education process student centric. It is our endeavor to make this institution a centre of excellence. I warmly welcome you to visit our college.